Main Phase: Look at a player's hand and choose a card with 3 or more printed power. That player discards that card. 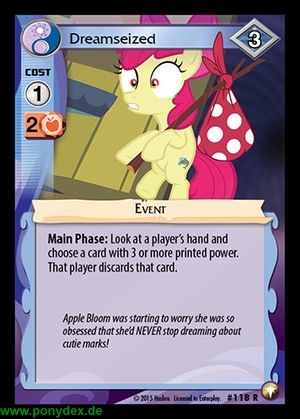 Apple Bloom was starting to worry she was so obsessed that she'd NEVER stop dreaming about cutie marks!